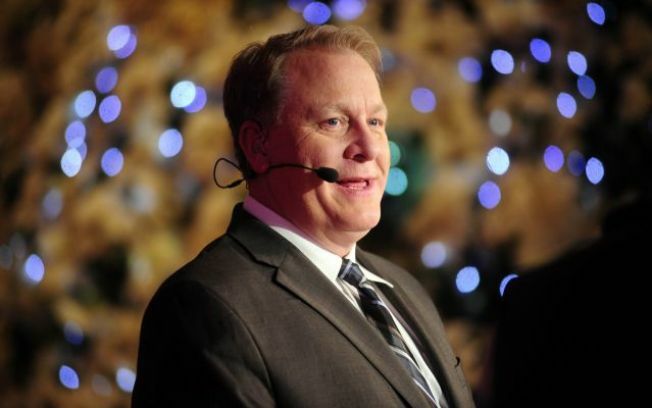 The fight over whether to release secret grand jury records in the criminal investigation into Rhode Island's $75 million deal with a video game company started by former Red Sox pitcher Curt Schilling landed in a courtroom Wednesday before a judge who will decide whether to release them. Gov. Gina Raimondo is pushing for the records in the 38 Studios investigation to be released, over the opposition of Attorney General Peter Kilmartin. The records include transcripts of witness grand jury testimony, which is given behind closed doors and is typically kept secret. Schilling moved 38 Studios to Providence from Massachusetts in 2010 in exchange for a $75 million loan guarantee. It ran out of money and went bankrupt less than two years later. The legal wrangling since then has included a lawsuit against a number of parties that ultimately settled for a total of about $61 million, and a grand jury that concluded its work in 2015. Kilmartin's office did not ask it to return any criminal charges and has said prosecutors determined there was not enough evidence for any charges. Assistant Attorney General Susan Urso argued to Superior Court Judge Alice Gibney on Wednesday that the public interest lies in maintaining grand jury secrecy. "To grant the governor's request would eviscerate the grand jury as we know it," she said. Future grand jury witnesses may see the release in this case and consider that their own testimony might eventually become public, she said. She argued that the request did not meet one of the narrow exceptions carved out in the law that allows disclosure of some grand jury material. Raimondo's lawyer, Jeremy Licht, argued that it was not a case where the records are being sought simply to satisfy curiosity about what happened. "The 38 Studios saga really shook the public's faith in their government," he said. "This is a case where disclosure can restore public confidence." Jared Goldstein, a law professor at Roger Williams University, who was representing the Rhode Island chapter of the ACLU, argued in favor of disclosure. He called it a rare case, and noted that it involves public policy and the highest levels of state government, all the way up to the governor's office. Then-Gov. Donald Cariceri, a Republican, shepherded the deal with Schilling through. The Democratic-controlled General Assembly approved the legislation that paved the way for it. Kilmartin was a Democratic member of the House at the time. The company ran out of money under the watch of then-independent Gov. Lincoln Chafee, who opposed the deal when it was struck. "Sunshine, as the old saying goes, is the best disinfectant," Goldstein said. He also cast doubt on the risk of public embarrassment, saying the players in the matter are already well known. The judge didn't immediately rule or say when a ruling would come.